Each month at my card classes I like to make each person a little favor as a special treat from me and as a thank you for supporting my business. Now I love all sorts of boxes of every shape and size. When I saw this in the holiday catalog I had to have it, I thought this was perfect for my customers. Here is a peek at a few of the boxes that my customers received. I made them using the Into the Woods DSP from the holiday catalog. Because we were making fall cards, I thought the paper went perfectly with the projects we were creating. I tied some linen thread around the box and tied a bow. 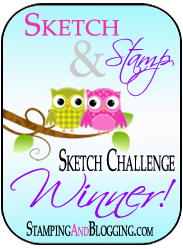 I then made some banners and using the sentiment from Acorny Thank You stamp set and proceeded to color it with my stampin up markers. The other banner was cut from the scraps left over from cutting out the pillow box. The beauty of the designer paper is that is has two beautiful patterns, one on each side. The banner matches the inside pattern of the box when you open it up. I completed the design by stamping out the acorn and using the coordinating punch. How easy it that! The fun thing about these pillow boxes is no matter what you are making them for they will fit any occasion. Just change the paper and embellishments, Voila, a completely different look. How about a Christmas box finished off with a snowflake or an Easter decoration using soft pastels and a beautiful flower on the front. The sky is the limit on what you could do with this box. This gets a thumbs up from me! My customers loved their boxes and when they saw they were filled with chocolate treats they were thrilled. I always look forward to saying thank you to my customers. Making the favors for them is just one small way. Do you have an occasion coming up where the Pillow Box Thinlets Die might work for you? This entry was posted in Acorny Thank You, Fall, Party Favors. So cute Kristi! I’d be excited to receive one too…especially if it was filled with chocolate goodies. 🙂 Thanks for sharing. Thank you Amy. My customers look forward to my treats each month. Love this little box.